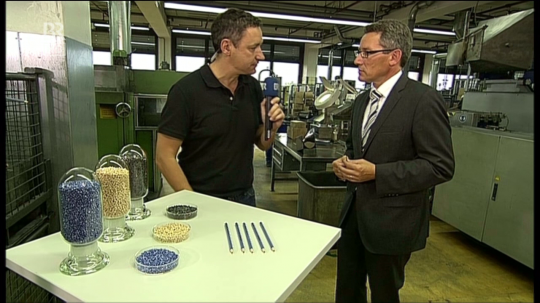 To celebrate 350 years of Bleiweißsteftmacherhandwerk1 the Franconian and Bavarian regional news reported live from Staedtler’s factory on 25 September 2012. The reports were only a few minutes long. The graphite used for pencil leads is ground to particles whose size is in the range of a micrometer, one millionth of a metre. In 1900 there where 23 companies manufacturing pencils in Nuremberg. They employed 10,000 employees. One machine, shown on TV, can produce 1000 leads per minute. 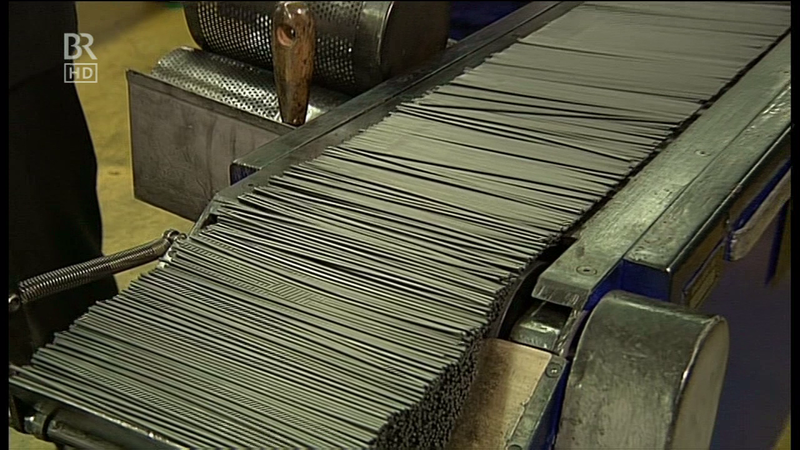 The leads seem to be made in Nuremberg, but the pencils seem to be assembled in their factory in Neumarkt. I thought Staedtler’s mechanical pencils are made there, but didn’t expect their pencils to be made there, too. I mentioned Neumarkt in a previous blog post when I wrote about the ONLINE All Wood Marone. ONLINE is based in Neumarkt, too, as is e+m Holzprodukte. 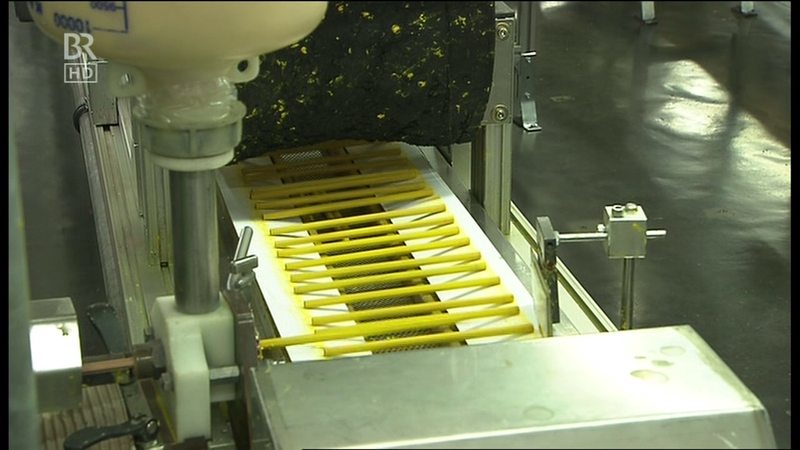 Producing a pencil is a fairly automated process. You only need about 1-2 seconds of human labour time. 100 years ago about one minute was needed, 200 years ago it was about an hour. The price of graphite is expected to rise. One of the reasons is that it is needed for manufacturing batteries for electric cars. You can find reviews of products from e+m Holzprodukte at Lexikaliker and Lung Sketching Scrolls. The images in this blog post have been taken from Frankenschau and Abendschau. I believe that the use of the images shown in this blog post falls under “fair dealing” as described by the UK Copyright service.